The deadline for buyers to respond to the counter offer Tuesday 4/16/19 at 11:59 PM. Make the interested parties aware of the deadline. 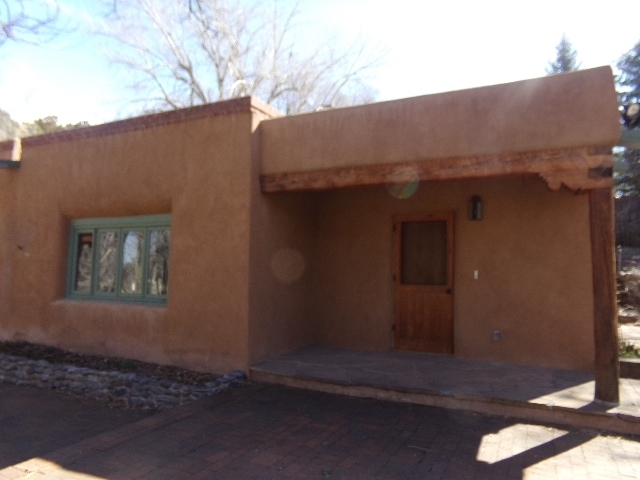 Vintage adobe, with guest house + 2 attached guest room with private entrances. This rural property sits in middle of Aspen trees setting on 1.5 acres. Main house has 2 living room areas, two bedrooms with private bathrooms each. Dining area plus butler's pantry and large chef kitchen. Lots of charm that includes three kiva fireplaces, vigas, thick walls, pine and Saltillo tile flooring. Yard is spacious with lots of shade trees and has mature landscaping with a variety of flower bushes. Features equestrian possibilities, as well. Vacant and a "must see" listing. Directions To Property: Us 84/285 To Tesuque To Bishops Lodge Road.